The Cancer Poetry Project invites friends, families and survivors to put their feelings into words. When Karin B. Miller’s husband Thom was diagnosed with cancer in October 1997 at age 34, Miller found comfort writing poetry—which had always been one of her favorite forms of expression—to cope with the fear and stress. It was a time of uncertainty that ran parallel with another kind of uncertainty the couple was facing: Karin Miller was pregnant with their first child. “When we’d go to doctors’ appointments, people would see the bald guy and the pregnant woman coming and think, ‘Oh, that’s bad,’ ” Miller says, laughing. Recalling that period as very intense—Thom Miller was receiving chemotherapy—she also remembers the immense relief following Thom’s last surgery, which happened two weeks before the birth of their daughter Gabi. Seeking solace by writing down her multitude of thoughts in a meaningful way led Miller to wonder if others—spouses, partners, friends, family members and even those living with cancer themselves—were doing the same thing to ease their own troubled minds and hearts. As she discovered, they were. In 2001, Miller, a writer and editor who lives in St. Louis Park, put out a call to several outlets, including top private and public universities, asking for poetry submissions for a collection she called The Cancer Poetry Project: Poems by Cancer Patients and Those Who Love Them. Minnesota Public Radio and KARE-11 also picked up the story about her project. Miller was overwhelmed by more than 1,200 responses, from published and non-published poets alike, of all ages and occupations. Carol Allis of Minnetonka is one of the poets whose work is featured in Miller’s second anthology (The Cancer Poetry Project 2 was published in April 2013). In Warrior, Allis wrote about a good friend from Florida battling breast cancer. “Most of my poetry falls out of my head,” says Allis, who regularly writes poetry. In this particular piece, Allis wrote of seeing her friend’s scar from a double mastectomy for the first time, and, in her own mind, visualizing the image of “a woman warrior with a breastplate …whose strength and courage were protecting her from death,” Allis says. Allis says her friend was very touched by the poem and its inclusion in The Cancer Poetry Project 2—which is even more meaningful for Allis as she mourns the passing of her friend, who died from a heart condition. For Allis, writing poetry can be “amazingly healing and cathartic,” and she says she always encourages people to read—and write—more poetry. Culling just 140 poems for each volume proved to be a challenging and often emotional task for Miller, who received help from her mother, also a writer, for the first volume, but went through submissions for the second book on her own. “It’s hard to get [the finalists] from 1,200 to 600, and incredibly difficult from 600 to 140,” she says. 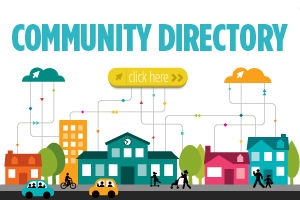 There are four submission categories: cancer patients and survivors; spouses, partners and lovers; family members; and friends and health advisors. Miller has made connections with those who have submitted poems (“I feel like I have friends everywhere now,” she says) and readers, and she has learned that the books are serving as resource guides for cancer support groups and even writing classes, in the United States and abroad. According to Miller, a college professor in the Netherlands regularly teaches the book to his students. 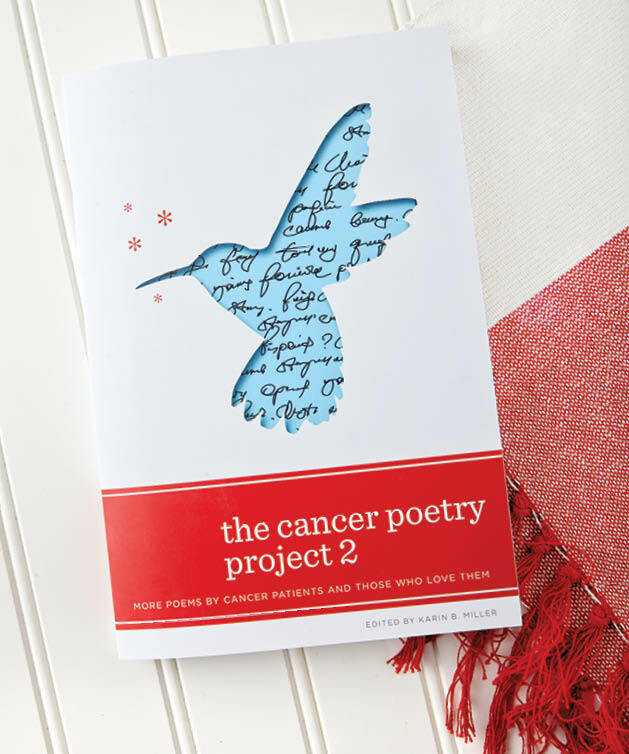 Sharon Bray, who has taught “writing through cancer” classes in San Diego since 2001, uses many of the poems from the Cancer Poetry Project anthologies. Thom Miller has been cancer-free for over 15 years; in addition to daughter Gabi, now 16, the couple has twins, Joey and Mia, who are 12. Miller continues to give presentations about the Cancer Poetry Project to various groups, including support groups, book clubs and church groups. She has spoken to groups of oncologists and nurses in Ohio, and to patients, families and physicians around Minnesota. And while she hasn’t set a timeline, Miller is strongly considering a third book. This seems more exorcism than extraction. When it’s over they wheel you through sliding glass doors as somewhere a clock starts its count back from five years. We step into a future fragile as new lake ice, black water sleeping beneath us like a hungry Grendel. We hold hands; take cautious steps, listen through our feet for the crack or creak that might tell us the moment he wakes, ready to draw us under. But all is silent. In time our stride smooths. We no longer look down. I notice how well our hands fit together no fumbling as with a stranger. Our grip loosens; the grasp is lighter. When we pause, my index finger traces yours out to where its curved shore meets the cool lake smoothness of your fingernail following it to the sharp edge going over, flowing under until your finger closes around mine and we keep walking. The Cancer Poetry Project 2 was chosen as Best Poetry Book of 2013 at the Midwest Book Awards. It was also named a Best Anthology Finalist by the 2014 Indie Excellence Awards. Learn more about the Cancer Poetry Project at cancerpoetryproject.com. Books can also be purchased on the website, as well as on Amazon, Barnes & Noble and other sites.